SFS - Small Firms Services - Why Customers Choose Us! Home/Why Do Customers Choose SFS? 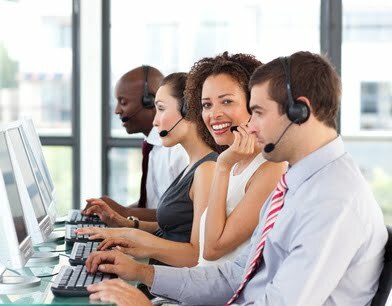 SFS is proud of its market leading reputation which is supported by excellent levels of customer service. Our company is well regarded within the industry and popular with accountants, solicitors, tax advisors and bookkeepers. We are pleased to receive regular recommendations from happy customers and repeat business, but we also appreciate that some of our website visitors will be learning of our service for the first time. First of all let’s start with the easy bit. Talk to us! Call us, chat online, visit our office or send us an email. We have a team of friendly people ready to answer your questions. Secondly, we hope we have provided an informative website with useful content. We offer lots of free advice online and provide guides on running your company. We try to write our advice pages in clear English and remove industry jargon but you can always contact us if you have a question. We aim to answer all calls within 4 rings. Real people - no menu options! Most emails are answered within a few minutes but we aim to reply within 2 working hours. Prefer to get your answers in writing? No problem! We have a team of people ready to drop you a reply. Services are set up on the day of purchase. Get a virtual address in just a few hours. If you need to get moving, order today for a same day setup. Orders placed when we are closed are setup the next working day. We keep our fees low! Our competitive pricing means you can be assured of low cost annual services that do not get inflated in your second year of service. We are still providing virtual address services to customers that have been using our service for over ten years. During this time we have actually reduced many of our charges, not increased them!